Product #16140 | SKU DST260 | 0.0 (no ratings yet) Thanks for your rating! 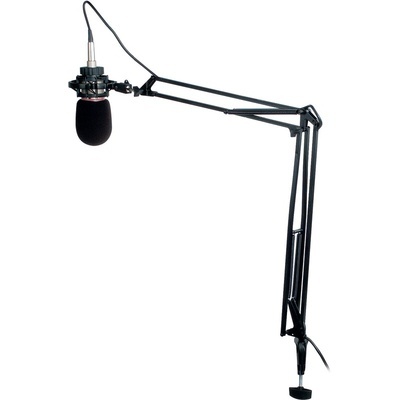 New extensible arm microphone stand featuring fixed elevation arm, fixed desktop stand and clip-on base desktop stand. Suggested for radio installations and dubbing studios. Available in matte black finish. Application fields: Suitable for multi-media workstations, radio installations and dubbing studios. Notes: Multi-purpose use with different mounting solutions by screw-on clamp or two table flanges.